(ZH) — A year ago we featured a detailed report by authors Tom Secker and Matthew Alford exposing just how vast the Pentagon and CIA programs for partnering with Hollywood actually are, based on some 4,000 new pages of formerly classified archived documents obtained through the Freedom of Information Act. Months ago, Strub was again profiled in a report called Elisting an Audience: How Hollywood Peddles Propaganda, which quoted him trying to push back against the growing media exposure over the past year: “We’re not trying to brainwash people! We’re out to present the clearest, truest view,” Strub told The Outline. 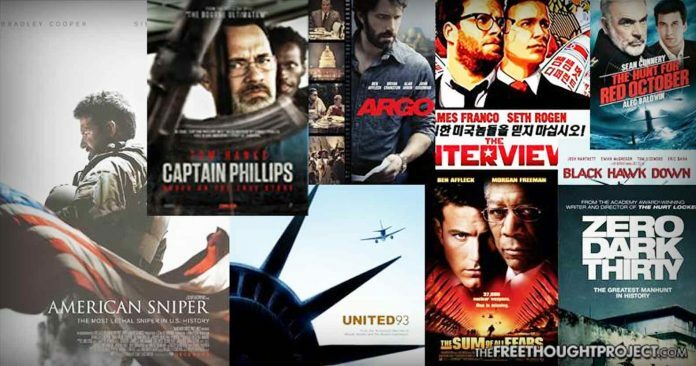 Want to see what Hollywood films — some recent and some going back decades — that you’ve seen but were unaware had the US Department of Defense’s official imprimatur?